Hollywood white teeth are all the rage these days. Everyone seems to want to have teeth that are so white they will blind you if you look directly at them. We whiten teeth here, and no one is saying that having white teeth is a bad thing. It isn't. But not everyone is a good candidate for teeth whitening. That is the problem when something as serious as whitening your teeth becomes almost a fad. 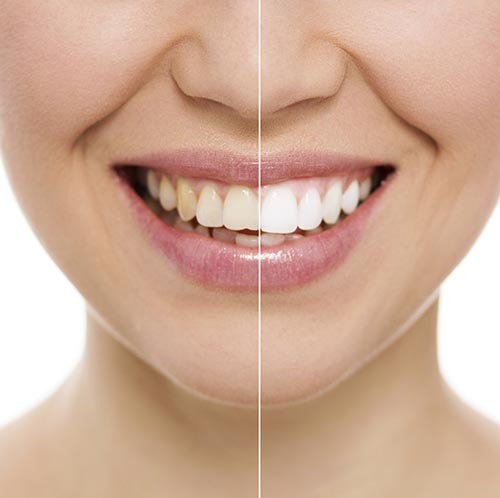 The teeth whitening process uses very strong bleaching agents to work. The thing is that it doesn't work on all teeth and it can even cause damage to some teeth. What Can Go Wrong When You Whiten Your Teeth? To answer this question, you must understand the process. The agents used to whiten your teeth sit on your teeth and essentially bleach them until they are white. Now, most people understand what bleach can do. If you have a dingy white shirt and you bleach it, it reverts to its brand-new whiteness. However, you may have noticed that if there is a stain on that shirt, though it will not be as obvious before the bleaching, after the bleaching it is not the same shade of white as the rest of the shirt. Well, your teeth behave the same way. Teeth that have stains from nicotine or caffeine may not handle whitening as well as teeth without these stains. The stains from these substances won’t always bleach well, and you may end up with teeth that resemble the shirt – different shades of white. Teeth that have cavities should never be bleached. The bleaching agent can get into the layer of your tooth below the protective enamel and damage it further. It can also cause extreme pain once the bleaching agent reaches this layer. If you have any questions, or if you would like to learn more, please call us today at (425) 216-3367.